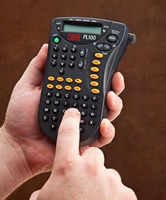 The 3MTM Portable Labeler PL100 is a compact unit that prints on a variety of materials, including heat shrink tubing. It is equipped with hot keys for automatic labeling, making quick on-demand heat shrink lables for easy identification. 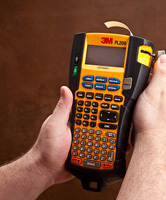 The 3MTM Portable Labeler PL200 has been proven to outperform high-priced labeling solutions in jobsite conditions. The unit is lighweight and powerful, offering unique features and functionality. 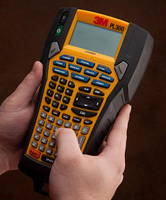 The 3MTM Portable Labeler PL300 provides the added convenience of PC connectivity, allowing the user to insert customized graphics, logos, symbols and industry terms to customize their labeling jobs.